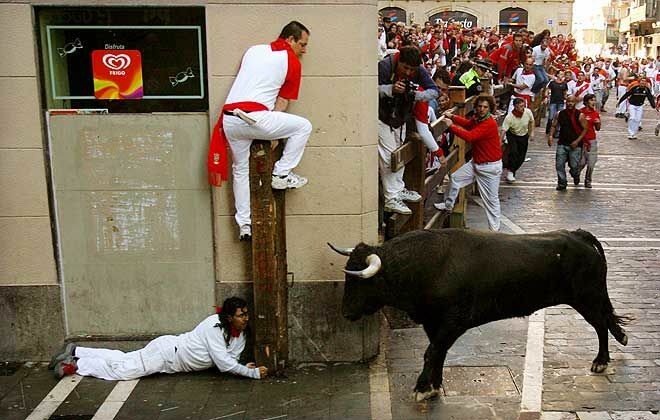 It is one of the most popular events in the world, celebrating San Fermin, patron saint of Navarra, with the most unusual way. Many bulls are left in the streets of Pamplona while many courageous (or crazy) people run for their lives before the bulls catch them. Although a religious celebration, it seems that it has become more like a run-for-your-life festival rather than a religious event. Nowadays, the fiestas are seen as a mass gathering of people from all the corners of the world and where the partying, the fun and the joy of it all are the most outstanding ingredients.